Filiokus is proud to support the work of Mary Potter Hospice through the sale of Filiokus strawberry hats. 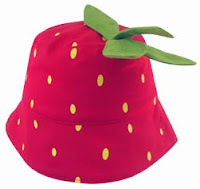 We will donate some of the proceeds from every strawberry hat sold. When you purchase a strawberry hat you are helping people who need hospice support to make the most of life. 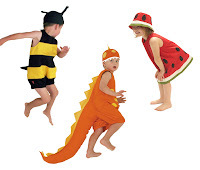 New Zealand Made in 100% cotton drill. Sizes: S, M & L.
Perfect as a sunhat, gardening hat, to wear to parties, a present for christmas. Meet for Strawberries at Midland Park. The Strawberry Festival is all about celebrating life. It's a great opportunity to meet up with friends at Midland Park, enjoy the music, soak up the festival atmosphere and feel good about helping out the Hospice. There will be entertainment on all day. More than 650 kilograms of the freshest spring strawberries will be trucked to Wellington for the Festival. This Festival is an opportunity for Wellingtonians to actively support the work of Mary Potter Hospice in the most delicious and decadent way. Mary Potter Hospice is a critical community service, providing care and support to people and families throughout emotionally challenging and vulnerable times. Please note: Payment by cash only for Strawberries.